Please refer to our stock # ImpKB5v when inquiring. 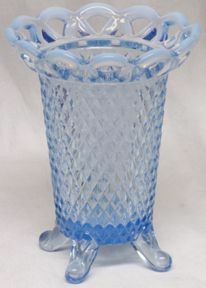 This a 1930's Katy Blue depression glass 5" vase with opalescent edges. It was produced by the Imperial Glass Company. The vase is in excellent condition.